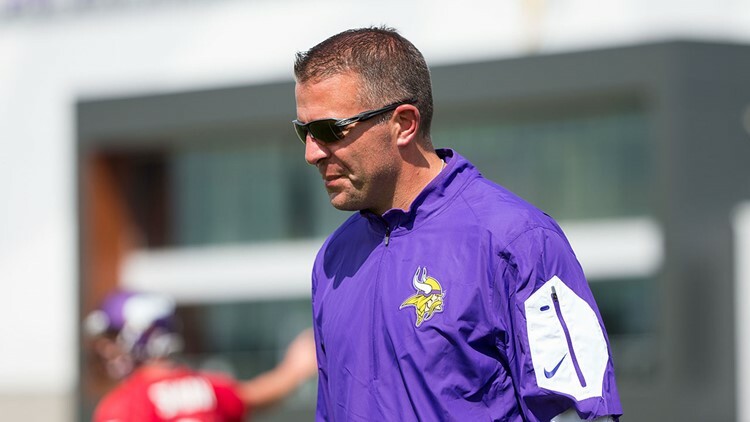 The Minnesota Vikings have fired offensive coordinator John DeFilippo one day after a 21-7 loss to the Seattle Seahawks, the team announced Tuesday. Quarterbacks coach Kevin Stefanski has been promoted to offensive coordinator and will take over play-calling duties. The loss dropped Minnesota to 6-6-1 on the season, giving it just a half-game lead for the second NFC wild-card spot. Minnesota could only muster 276 total yards of offense against Seattle on Monday and did not get on the board until 70 seconds remained in the fourth quarter. At that point, the game was all but over at 21-7. The loss marked the second consecutive game in which the Vikings scored 10 points or fewer, both losses. After the game, Vikings receiver Adam Thielen made it clear the offense’s struggles were not DeFilippo’s fault. But with their season on the line, the Vikings apparently decided a change was necessary to get the offense going again. Per Tomasson, the Vikings entered November with the ninth-ranked offense in the NFL. Five games later, they rank 17th. That’s not what the team envisioned when it gave quarterback Kirk Cousins $84 million guaranteed during the offseason. Minnesota will try to get back on track against the Miami Dolphins on Sunday. The Vikings then wrap up the regular season with contests on the road against the Detroit Lions and at home against the Chicago Bears.